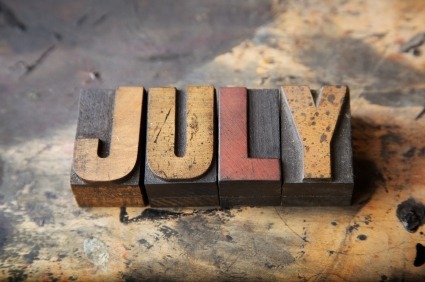 Welcome to your July newsletter. This month, we look at why job creation and business growth could be boosted by the Government’s new Employment Allowance, which wipes the first £2,000 off an employer’s national insurance bill. It was announced this month that small firms have been given more time to become fully compliant with the new Real Time Information system for PAYE reporting. In business finance, recent data revealed that SME appetite for borrowing, and bank lending, have both fallen. And finally, in Your Money, we look at the news that less than half of those who should be saving adequately for retirement are actually doing so. Are you? One in five small businesses feels optimistic about growth and expansion following the Government’s announcement to introduce a £2,000 allowance towards employer National Insurance contributions (NICs), research by Direct Line for Businesses has found. A third of businesses also plan to recruit additional staff to take advantage of the reduced cost of employment once the Employment Allowance scheme is introduced. Small to medium-sized businesses (SMEs) account for more than 99 per cent of all private sector businesses in the UK. The new allowance will come into effect from April 2014 and is estimated to take 450,000 of the UK’s smallest businesses out of paying employer NICs. The shifting of the PAYE system to Real Time Information (RTI) is well underway, with nearly 1.4 million employers now reporting their employee PAYE information to HMRC before, or on, the date that payments are made. This translates to 83 per cent of small and medium sized enterprises (SMEs). However, SMEs have been granted some leniency by HMRC as they make the switch to RTI. Employers with fewer than 50 employees were told in March that PAYE information could be sent to HMRC by the date of their regular payroll run – provided it is no later than the fifth of the month. This relaxation particularly benefits businesses that pay their staff on a weekly basis, allowing them to report PAYE once a month rather than on every payday, and giving them extra time to adjust to the new requirements. This temporary relaxation of RTI reporting rules – originally due to end on 5 October 2013 – has now been extended until April 2014. The extended deadline will avoid any confusion that may have been caused by changing reporting systems midway through the tax year. Net lending by banks under the Government’s Funding for Lending Scheme (FLS) fell by £300 million in the first quarter of the year, data from the Bank of England (BoE) shows. Just 13 of the 40 banks that participate in the FLS made drawdowns from the scheme in the three months to 31 March 2013, at a value of £2.6 billion. The news follows figures from the BDRC Continental SME Finance Monitor report, which showed that just 39 per cent of SMEs are using some form of external finance despite Government schemes such as the FLS and the Enterprise Finance Guarantee. More than half of those who could, and should, be preparing financially for later life are not saving enough and one in five is saving nothing at all, according to a report by Scottish Widows. Of those aged over 30, not retired and earning more than £10,000 per year, just 45 per cent are making ‘adequate’ savings of at least 12 per cent of their income. This is down by one per cent since 2012. Despite this, expectations for retirement income and the level of debt with which people enter old age are rising. The survey found that the level of annual income people would feel comfortable living on aged 70 has increased by £700 – to £25,200 – since 2012. However, it also revealed that a third of those already in retirement are still paying off average non-mortgage debts of £5,682. In other pension news, analysis by Prudential found that self-employed workers are missing out on employer pension contributions of £2,232 per year, based on the average UK salary of £26,664. Over the course of a 41 year average working life, this amounts to £91,512 that self-employed workers – who do not have the option of joining a company pension scheme – miss out on.